Dash & Albert's graphic Samode rug is available in several colorways and in a graphic pattern that can be found on the Samode Palace in India. Fade-resistant and washable. 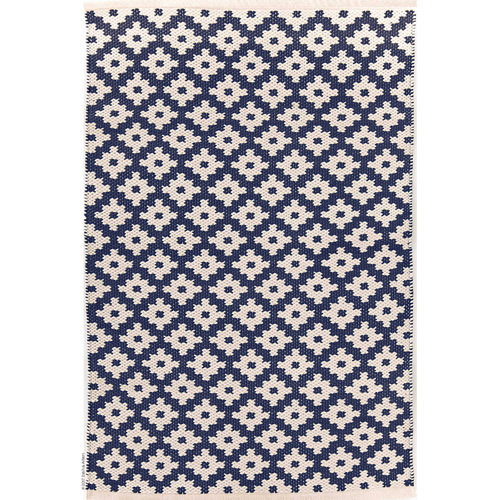 Make this rug at home - indoors or out.